In most ancient societies, it was—and still is—believed that all music is the sound of the cosmos; the very dust that made up space, singing in communion with Him that created it all. Many of those societies, such as the Incas and Mayas, have long since ceased to exist in their highly developed, yet ancient form, but some still survive—such as the Guarani in Paraguay and those in China, Japan and the Mediterranean and Africa; and of course, that of India. The great sitarist and perhaps one of the greatest musicians of any age, Pandit Ravi Shankar came from India, but truly belonged to the world. This is especially true of his late music and is certainly true of the very last music he composed and played, which is preserved on these two fascinating CDs The Living Room Sessions—Volumes 1 and 2. Contrary to what many believed, the sitarist was in firm control of his musical faculties and this is eminently clear from the manner in which he expressed himself as well as in the manner in which he inspired the musicians who performed with him: the tabla player, Tanmoy Bose, and the tanpura players Kenji Ota and Barry Phillips. With uncanny strength in his fingers, Ravi Shankar continued to play until he was almost 92 for this is when the recordings were made. Moreover, the sitarist’s mind was full of unusual ideas and his attention to detail can be heard in these wonderfully produced recordings. 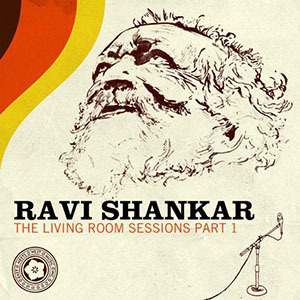 On Volume 1, Ravi Shankar the session begins with the magnificent evening raga, “Malgunji”, a superb, complex work composed and played in the equivalent of the Mixolydian mode. Traditionally, “Malgunji” was considered to be a combination of raga the “that” or mode of raga “Khamaj” with elements of raga “Rajeshri” in its ascent and raga “Bageshri” in its descent; there are also touches of raga “Jaijaiwanti” in its mix. The performance here is superb, with Pandit Ravi Shankar holding up a mirror to the advancing darkness of night and as it envelops the sky, the sitarist shines a light on the dancing entity of the raga. Another noteworthy performance is on “Satyajit,” a piece composed after the sitarist was told about the death of his friend and celebrated movie director, Satyajit Ray, one of the great Indian filmmakers who was considered along with Japan’s Akira Kurosawa, to be a giant of cinema. The melancholia of the piece played by Ravi Shankar gradually turns to pure joy as if it were accompanying the soul of the filmmaker on his journey to the heavens. There is a certain sense of urgency in Volume 2. It seems almost as if Pandit Ravi Shankar had visions of his own mortality in the music he chose to play and the manner in which he played it. Here the master sitarist plays only three ragas. The first of these is “Mishra Kafi”. This fifteenth century raga, relatively young when compared to some of the other ragas is played as a heptatonic scale. In its purest form, this raga existed as “Kafi” and in order to increase its pleasure was melded with various swaras or notes which gradually became accepted and in fact became known as “Mishra Kafi,” an acceptable form of the purer “Kafi,” which was one of ten logical groups in the ancient original classifications of ragas. The other two ragas here are both forms of “Bhairavi”. This is one of the most celebrated ragas in heptatonic scale. Ravi Shankar introduces an ingenious rhythmic device here and his playing is aglow through the gat (style), in dardi and teen tal, the complex ten beat cycle, during which the sitarist literally takes stupendous flight. His fingers dance on the strings of his sitar and here his true genius begins to shine. Unfortunately these were the final recordings of the great sitarist, but what a stupendous lesson in genius they were. These recordings ought to be essential listening for cognoscenti and true fans of Ravi Shankar. Even to casual listeners of Indian music these two CDS ought to be considered priceless possessions. Track List: Volume 1 (CD1): Raga Malgunji; Raga Khamaj; Raga Kedara; Raga Satyajit. 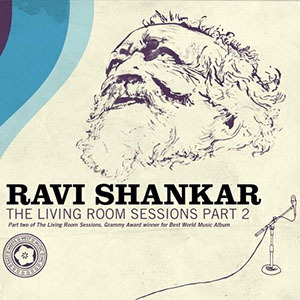 Volume 2 (CD2): Session 5: Raga Mishra Kafi; Session 6: Raga Sindhi Bhairavi; Session 7: Raga Bhairavi. Ravi Shankar, KBE (Bengali, 7 April 1920 – 11 December 2012), often referred to by the title Pandit, was an Indian musician and composer who played the sitar. He has been described as the best-known contemporary Indian musician. Shankar was born in Varanasi and spent his youth touring Europe and India with the dance group of his brother Uday Shankar. He gave up dancing in 1938 to study sitar playing under court musician Allauddin Khan. After finishing his studies in 1944, Shankar worked as a composer, creating the music for the Apu Trilogy by Satyajit Ray, and was music director of All India Radio, New Delhi, from 1949 to 1956. 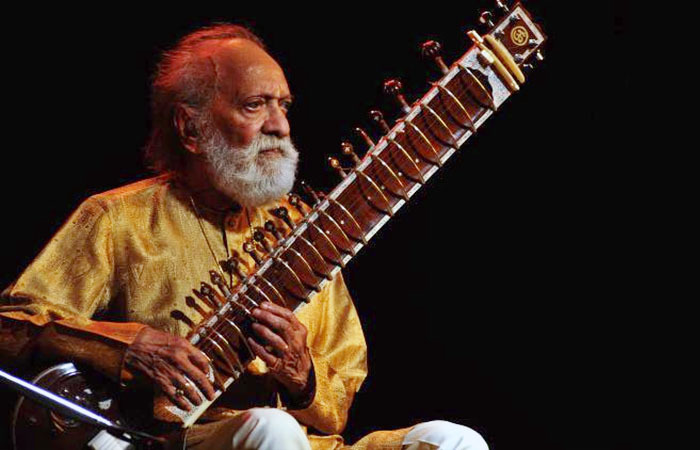 In 1956, he began to tour Europe and the Americas playing Indian classical music and increased its popularity there in the 1960s through teaching, performance, and his association with violinist Yehudi Menuhin and rock artist George Harrison of the Beatles. Shankar engaged Western music by writing concerti for sitar and orchestra and toured the world in the 1970s and 1980s. From 1986 to 1992 he served as a nominated member of Rajya Sabha, the upper chamber of the Parliament of India. Shankar was awarded India’s highest civilian honour, the Bharat Ratna, in 1999, and received three Grammy Awards. He continued to perform in the 2000s, sometimes with his younger daughter, Anoushka. He was posthumously awarded two Grammy awards in 2013, one for lifetime achievement, another for The Living Room Sessions Part 1 in the world music category.